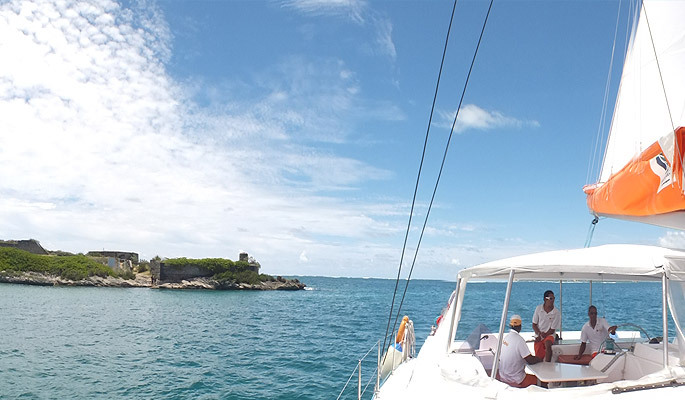 Ile de la Passe is a small but very historic island off the south-east coast of Mauritius. From the islet all maritime movements into the Bay of Mahébourg, which is the largest bay of the island and contains the oldest port, can be controlled. The French and British inhabitants of Mauritius built defenses on Ile de la Passe, and ruins of these defenses dating back two and a half centuries are still intact. The ports of Mauritius were the preferred stopping-over sites to and from the East for mariners of the 17th, 18th and 19th centuries in the western Indian Ocean and it was acknowledged that whoever controlled Mauritius was favoured to control the Region. The main port on the island, until the mid-18th century was Port Sud-Est in the Mahébourg bay. The strategic position of Ile de la Passe made it, therefore, the key not only to the island of Mauritius, but to the Indian Ocean. 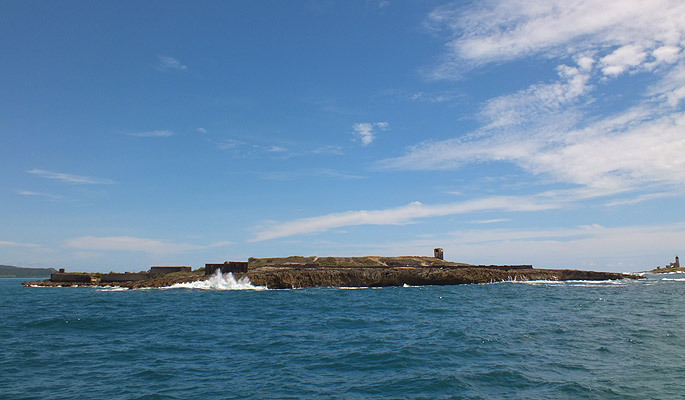 This island played an important role during the famous Battle of Grand Port over the possession of the harbour between the 20th-27th of August 1810. The French Navy’s victory over the British Royal Navy at that time marks the only victory under the Napoleonic regime and as such is commemorated by an inscription on the Arc De Triomphe in Paris. •	the underground WWII generator house, the cable ducts and the generator mountings in the store. At present, the site is not managed and visits are not controlled. The fortifications on this islet are among the oldest in Mauritius, and are certainly the most varied and best preserved coastal defences in Mauritius, perhaps in the western Indian Ocean. Given the key rôle that these fortifications played in the history of Mauritius and by extension, in the settlement of the islands of the Region, and given the excellent state of the buildings, something constructive should be done for Ile de la Passe. Indeed, if only for the natural beauty and harmony of the buildings and the site, something should be done. What is proposed here, is to reflect the history of the island and its natural setting in its preservation as a World Heritage Site. The islet might satisfy the criteria to become such a site and this would necessitate that the site be adequately managed. Day visits only should be encouraged, and information on the history and function of the structures should be discreetly posted on site. As litter and vandalism are problems, guardianship and refuse removal systems are essential. Friends of the Environment has suggested to government in 1997 that application be made for UNESCO World Heritage status. It was envisaged that this site, with creative and well-organised management, would become a major tourist attraction and a showpiece of Mauritian cultural heritage.